Digging Deep, Crossing Far_ 2nd Encounter: Karachi extended the exhibition from Bangalore/Kochi to Karachi with four pieces from Pakistani artists, with three of these being newly created for the exhibition. As a seaport, Karachi was an important military base during the First World War. For ships coming via the Suez Canal, it was the first port of call in British India and the main access route to Afghanistan and the Russian Empire. 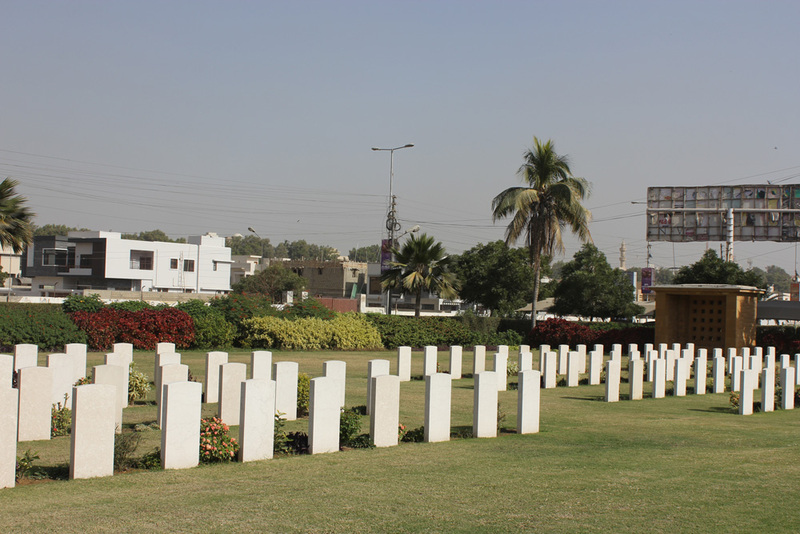 Many soldiers were brought from Karachi through its port to Marseilles, Mesopotamia, Egypt, and other war zones. Digging Deep, Crossing Far_ 2nd Encounter: Karachi was shown in Karachi at the Arts Council Pakistan from May 29 to June 4, 2016.